The firm delivered its 114-page report last month. As befits this complicated subject, it discusses a wide range of alternative choices for legislators concerned about meeting the state’s greenhouse gas emission goals. Here are 12 questions and answers about the study. The text in quotes is from the study itself. Why did the Legislature commission the decarbonization study? For five years a coalition of environmental groups has promoted the enactment of a carbon tax. Its purpose is to drive up the price of fossil fuels – gasoline, diesel, heating oil, natural gas and propane — so that consumers will reduce their consumption of these fuels. The resulting reduction in greenhouse gas emissions, the advocates believe, will contribute to a global effort to reduce emissions and thereby reduce projected harmful and possibly catastrophic increases in global temperatures. When the Legislature repeatedly failed to enact carbon pricing legislation, the coalition in 2018 got the Legislature to earmark $120,000 for the decarbonization study. Have the CO2 emission reduction goals set in statute in 2006 been met? No. Today Vermont is emitting well above the 2005 greenhouse gas emissions goal, and emissions are rising, instead of dropping toward 58 percent below the 2005 level by 2025. How would those revenues be used? The study discusses three options. First, a lump sum rebate to every household; second, lowering payroll or income taxes; and third, spending the money on state programs, such as renewable energy, weatherization, public transit, and electric vehicle subsidies. Since the carbon tax would raise the price of gasoline and diesel fuel, would a portion of the proceeds go to the transportation fund to support highway and bridge maintenance? That could be a legislative choice under the third option, but the study does not take a position on that. Would a large carbon tax in Vermont drive consumers to adjacent states to get much lower prices on gasoline, diesel and heating oil? The study does not believe that people would do that. Is there any combination of policies that would allow Vermont to meet any of the declared emissions goals? Yes. “Combining moderate carbon pricing and non-pricing policy approaches could reduce emissions to meet Vermont’s US Climate Alliance target … of 32-38% below 2005 levels in 2025.” This would presumably require using most of the carbon tax revenues for subsidies to promote switching away from fossil fuels. How does the study overcome these economic welfare losses? By adding in “climate benefits” and “health benefits.” The economic value of both of these calculations – especially the climate part — are admittedly highly debatable. The calculation assumes that Vermonters will agree to let climate benefits projected to accrue elsewhere on the planet compensate for diminished economic welfare here. And that impact would make up for the much higher tax burden and economic disruption that a carbon tax would impose on Vermonters? (Insert your answer here). 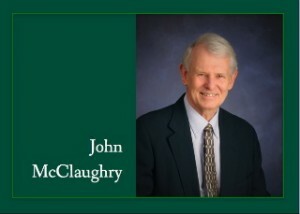 This commentary is by John McClaughry, the vice president of the Ethan Allen Institute. Before we do this, we’d best figure whether or not getting rid of cow farts will be a good thing to do. Please also remember that dairy farmers fart a lot, too. And, while we’re at it, those damned unicorns are worse than you can imagine! It would be interesting to see how, in number seven, they determine people wouldn’t be leaving the state. Once again we see an attempt by the left at wealth redistribution. I would say that the people living near the Vermont boarder would go to the adjacent state to by their fuel. I for one would buy my heating fuel from New York. Also I know that people, especially the retired, will be moving out of state. As we are painfully aware, Brattleboro being a border community with New Hampshire, the difference in sales taxes between the two states has caused a decline in retail sales receipts from, 2016 thru 2018, in this town as compared to an increase in retail receipts of 7% in Vermont during this same period. A carbon tax will continue to see a flow of business out of border communities. And, being the 4th highest taxed state in the Nation, how this would just add to the affordability which challenges so many Vermonters. We need to make Vermont more appealing to attract more people rather than seeing them exodus to other states. Just the other day, I read that each colony of honey bees can emit (depending on size and weather) 10 gallons of carbon dioxide per day. This is critically important information that the Vermont legislature should be informed of. There are THOUSANDS of colonies of bees in Vermont, each emitting approximately TEN GALLONS of carbon dioxide per day. This is approximately 1760 GALLONS of carbon dioxide per colony per winter. This is something that needs immediate attention in Vermont. Honey bees should be outlawed, banned, eliminated, and eradicated from Vermont AS SOON AS POSSIBLE. I am surprised I have not heard ANYONE, not even AOC, mention this very real threat to the environment. My source for the above information is a book entitled Keeping Bees With a Smile by Fedor Lazutin, page 286. I hope some concerned Vermont citizen will send along this vital information to the Vermont legislature so they can add honey bee eradication to their plans in their attempt to prevent the global warming we are all seeing unfold before our very eyes this winter. Please don’t give them any ideas. Someone might just be dumb enough to try it. All animals and humans that breathe oxygen emit carbon dioxide. Has anyone ever calculated the amount of carbon dioxide spewed into our atmosphere by a room full of politicians discussing how to make living here even more unaffordable? Something needs to be done about that.